Here we have a new Arturia KeyLab 49 Essential USB keyboard MIDI DAW controller featuring 6000 synth sounds, 49 keys with velocity, chord play mode, perfect Analog Lab integration and it comes with Ableton Live Lite. 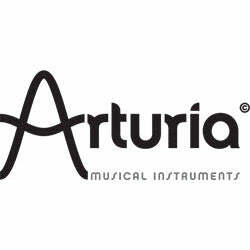 If you have any questions, give us a call or stop by to check out the new Arturia KeyLab 49 Essential USB keyboard controller at Ken Stanton Music and save today. Performance controls: Bend your notes, modulate your sounds and transpose your keyboard by semitones or full octaves. Chord play: Quickly create full arrangements with intelligent chord feature. Midi channel select: Quickly change MIDI channels with dedicated control. Performance pads: Dual-purpose dynamic, back-lit pads also let you select your favorite mapping options. DAW command center: Take control of your recording software thanks to the MCU/HUI protocol. Screen and Analog Lab remote: Read the right info when you need it thanks the twin-line LCD screen and browse your Analog Lab presets directly on your keyboard. Pre-mapped knobs and faders: Adjust the panning and level of the tracks in your DAW, and the essential parameters of the Arturia virtual instruments. 49 note Keyboard: Durable, velocity-sensitive keys will capture every nuance of your performance. MIDI out: Control any MIDI-compatible synths, outboard, and modular gear. Sustain pedal input: Push forward the expressivity of your keyboard play with a sustain pedal. The polarity can be inverted to comply with all types of pedals. Optional DC power: Power KeyLab Essential without connecting to a computer.